The activity of Foundation Lutreola is closely connected to Tallinn Zoo. 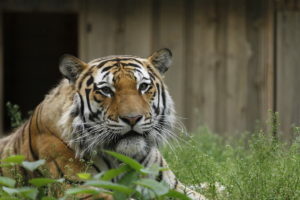 One of the main activities of zoos is participating in species protection projects. A large part of protection activities takes place in the natural environment of the animals, i. e. in situ. However, zoos, including Tallinn Zoo, support projects like these as well. 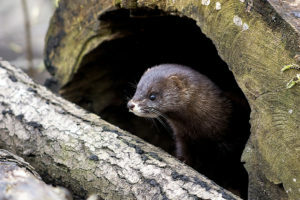 Until today, the support activities of Foundation Lutreola and Tallinn Zoo have mainly focused on the protection of European mink, one of the main undertakings of which has been the establishment and management of a population of mink on the island of Hiiumaa. However, we support the protection of other endangered species as well. Lutreola laboratory closely collaborates with the commission of the Species Survival Commission of the International Union for Conservation of Nature (IUCN SSC). The laboratory also collaborates with the compilers of the IUCN Red List of Threatened Species. Through Lutreola, everyone has the opportunity to contribute to the protection of endangered animals by making a donation (bank information is available at the bottom of the page) or buying our merchandise. We contribute to the survival of the world’s most endangered big cats, amur leopard and amur tiger, by supporting WildCats Conservation Alliance (Amur Leopard and Tiger Alliance), the organisation committed to their protection. 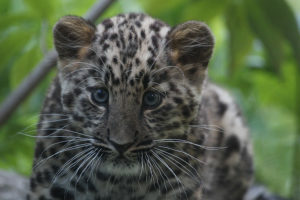 The population of the amur leopard is gradually growing due to increased methods of protection and creation of nature reserves. According to 2016 statistics, ca 60-70 amur leopards live in Russia. In China, there are around ten. We also support the protection of black rhinos in Africa through the international organisation Save the Rhino. Poaching of the rhinos has drastically increased in the latest decades, causing the killing of a rhino in Africa approximately every 6-7 hours. In 2015, 1175 rhinos were slaughtered in South Africa. Since 2008, at least 5940 rhinos have been killed in Africa. In the beginning of the 20th century, the population of the rhinos in Africa and Asia reached almost 500 000 animals, today only remnants of it remain. 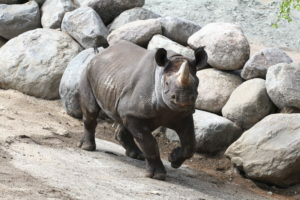 The main reason for it is poaching for the rhino horn, which according to the legends of traditional medicine is believed to have omnipotent healing properties – anything from a headache to cancer. There is no scientific proof to this. 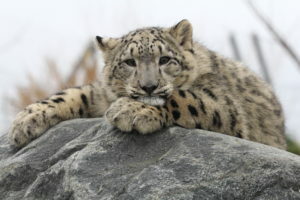 We support the species protection of snow leopards through Snow Leopard Trust. These mystical and beautiful animals are mostly threatened by poaching and decrease in the number of prey animals, but snow leopards are also affected by climate change. In a week, about 4-8 snow leopards are poached. By supporting the species protection project of the world’s most endangered small predator, the European mink, you can contribute to the population based on the island of Hiiumaa. The reduction of habitats and the alien species American mink have become fatal to the European mink. 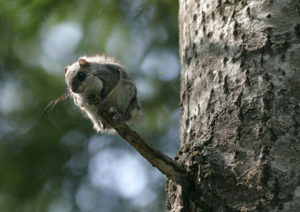 The flying squirrel is a rare animal and unfortunately becomes ever rarest. Together we can protect it! By buying our merchandise you are contributing to the preservation and research of the flying squirrel that is endangered in Estonia! The merchandise created for species conservation is available in the zoo’s souvenir shop and our webshop.